Anti-Cancer Combination. Recent studies have found that a compound in black pepper called piperine makes the cancer-fighting curcumin in turmeric as much as 1,000 times more bioavailable. Without piperine, bioavailability of turmeric is really low. In a study published in the Breast Cancer Research and Treatment Journal, researchers discovered that curcumin and piperine, when combined, were able to target cancer stem cells. Reduces Pain and Inflammation. Piperine and Curcumin compounds have been shown to influence more than 700 genes, and it can inhibit both the activity and the synthesis of cyclooxygenase-2 (COX2) and 5-lipooxygenase (5-LOX), as well as other enzymes that have been implicated in inflammation. Weight-Loss: Turmeric and black pepper can help with weight loss. 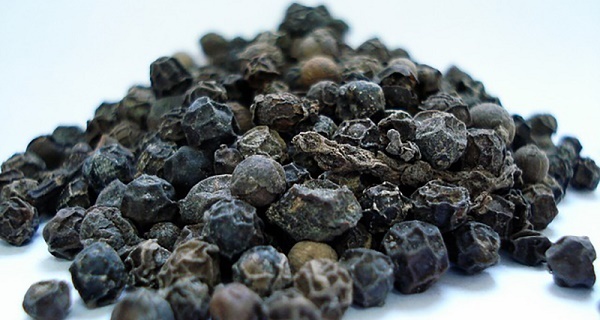 The piperine in black pepper is thermogenic, meaning it raises the metabolism and increases the number of calories burned by the body. It is also believed to help trigger a sensation of fullness. Natural antidepressant. Active compounds in both turmeric and black pepper have potential anti-depressant effects. These compounds can raise the levels of serotonin and dopamine in the brain and inhibit monoamine oxidase, an enzyme which is linked to depression if found in the brain in high levels. Black pepper and turmeric (where to find) can be added to most foods and even fresh vegetable juices or smoothies.